The price of Herbs Nutritional Medicine in addition to consultation fees. Sun Herbal offers a superior range of TCM herbal formulations across 3 brands. All are manufactured in China from ‘A’ grade herbs, in a factory that has both Australian and China National GMP (Good Manufacturing Practices) certification. Black Pearl – A range of the most popular Chinese ‘patent’ herbal formulas. 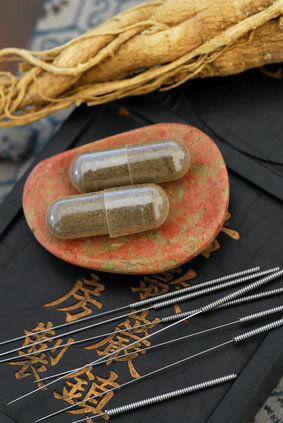 For around the same price as commonly available formulas made from powdered herbs, Black Pearl Temperature controlled extraction is used to produce these Chinese herbal formulae that are outstanding value by providing 2 to 3 times stronger than the pills made from powdered herbs and 2 to 3 times the amount of active ingredients in each pill. 200 pills per bottle. ChinaMed – A range of high strength Chinese herbal capsules to satisfy the growing demand for a convenient product that would address specific diseases and conditions commonly encountered in the Western clinic. While it is true that one formula may have several different uses clinically, we have chosen to name each one according to the most common clinical indication. This is especially appropriate as most formulas have been developed to treat a specific condition, such as eczema, IBS or chronic sinusitis. 78 capsules per bottle (2 week prescription at recommended dosage). Nutritional Supplementation is a preparation intended to supply nutrients that are missing or are not consumed in sufficient quantity in a person’s diet. Nutrition plays an important role in virtually every medical condition. Nutrients (vitamins, minerals, fatty acids, amino acids, glyconutrients) and non-nutrient bioactive compounds (e.g. probiotics, herbs, enzymes, hydrochloric acid, etc.) can also be used therapeutically to assist in the correction the many underlying physical factors which are contributing to disease states. reduce the coagulability of the blood. The food you eat is the fuel that your body uses to produce hormones, enzymes, blood and bone. The health of every single cell in your body and all the processes that take place, to a large degree, is determined by what goes into your mouth. Every cell in your body will completely regenerate/replicate itself over a four month period. This is a constant process and the ability for any cell to do this effectively is determined by the totality of the nutritional and environmental influences ongoing. Aging of the body is a biological phenomena not a chronologicalone.If we do not give ourselves the proper nutrients, we can impair the body’s normal functions and cause ourselves great harm. Even if we show no sign of illness, we may not necessarily be healthy. It simply may be that we are not yet exhibiting any overt symptoms of illness. 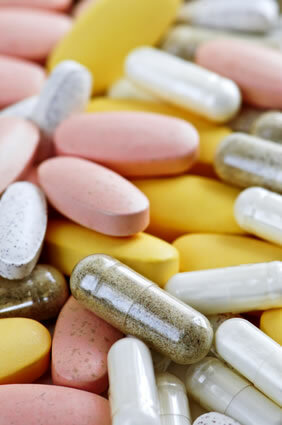 Do we really need to take food supplements? Our produce is picked before fully ripened to allow for harvesting and transportation requirements and then often stored for extended periods of time while the nutritional quality deteriorates. Our soil is being depleted of nutrients from the current farming methods used in mainstream agriculture. This depletion of soil nutrients directly effects the nutritional value of our food. Studies by industries such as the CSIRO have identified that due to inappropriate farming method since colonizing Australia, much of the quality topsoils in many areas of the continent have lost massive amounts of vital mineral contents (such as Zinc & Selenium) for approx. 50% – 80%. Furthermore if you, like most of the population, have been dieting for a number of years – either restricting your food intake or trying different diets, diet drinks or pills – you are more than likely to be deficient in a number of important vitamins and minerals. Therefore, the need for extra quality nutritional supplementation is very essential during these modern times. The lifestyle we enjoy today and the status of our mainstream food supply may warrant the need for nutrition supplement products. We have minimal time to prepare complete meals due to a busy lifestyle. We have, as a culture, begun to eat far too many processed, convenience and refined foods that have been stripped of essential nutrients during the manufacturing process. We are eating out for our meals and are using processed foods in our meal preparation. One problem most of us have is that we do not get the nutrients we need from our diets because most of the foods we consume are cooked and/or processed. Cooking at high temperatures and processing destroy vital nutrients and enzymes the body needs to function properly. How can you be 100% healthy without the necessary nutrients that your body needs? We fail to follow the guidelines of the food pyramid for a proper diet and the organic raw foods that supply these vital nutrients are largely missing from today’s diet. Furthermore, intake of drugs and exposure to the combined cocktail of everyday chemical pollutants plus additives to the manufactured foods such as preservatives, food colors, artificial flavor enhancers and fillers, contribute to an accumulation of toxicity within the body, impairing cellular function. The best way to detoxify the body is to significantly improve nutrition and reduce exposure by eliminating as much of the toxicity as possible. Over a period of 1 or more years, the body releases the toxins. If time is not permitting then a detox program can be applied. Brain function, memory, skin elasticity, eyesight, energy, the ratio of lean to fat tissue in the body. The overall health are all indications of how well the body is functioning. With the help of the proper nutrients, exercise, and a balanced diet. We can slow the aging process and greatly improve our chances for a healthier and pain-free — and possibly longer — life. Supplements are necessary because even the best diet in the world will not contain all the nutrients. You need in our high pace toxic world. It is important to use supplements is that you want to achieve positive health benefits in as short a space of time as possible. Certain nutrients, depending on your problem, will help to speed up this process because they can help you to detoxify, regenerate or strengthen your immune system.